I like to hear the story behind stories. Since today is the release day of Walking with God in the Season of Motherhood, I thought I’d share the story behind how it came to be written. I’m including lots of pictures, because I like those too. Consider this a picture book post. Fifteen years ago, I was living in Edinburgh, Scotland rejoicing in the wonderful news that I was pregnant. 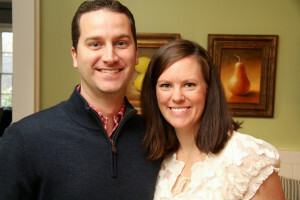 Mike and I immediately began praying, preparing, and looking forward to our new life as a family of three. 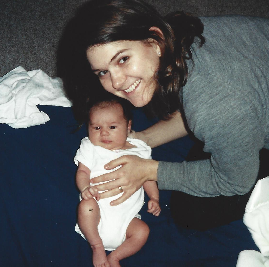 We read parenting books, purchased the necessary items, and on October 30, 2000, we celebrated the arrival of our baby girl. In many ways, it was joyous time, but it was also a lonely time. None of my close friends or family watched my pregnancy progress or were able to come to visit me in the hospital. It was before the days of Skype, Google, or any other type of internet access other than AOL flash sessions, so they all felt very far away from my daily life. My husband was in the midst of the rigors of PhD work and so I spent most of my days at home alone. It was a time of many changes in my life and I knew more than anything, I needed time with the Lord to walk through these new experiences well. Yet, in the midst of sleepless nights, overflowing laundry, and busy schedules, I often found myself staring at my open Bible with eyes glazing over and my mind adrift. Some days I felt too worn-out to know where to begin. Other days I struggled to apply the truths I was learning from the Bible to practical challenges. I wanted someone to take me by the hand, point me back to the Word, remind me of its precious truth, and help me apply it to my life as a mom. 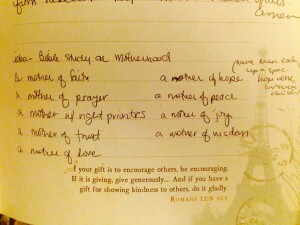 I desired a study that would allow me to dig deeper into God’s Word and encourage me as a mother. I found many excellent books on parenting and just as many solid Bible studies. However, I failed to find a Bible study that intersected who I was as a believer with the role I had been given as a mother. I longed for something that would help me walk with God in the season of motherhood, but I couldn’t really find what I was looking for at the time. 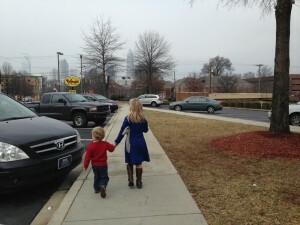 Shortly after I moved to Charlotte, a friend recommended a baby-sitter, who had just graduated from college. Angela soon became my daughter’s favorite sitter and one of my closest friends. Eventually she joined our church, came to Bible study in our home, and went to seminary. We met together regularly for prayer and spent countless hours sharing in ministry pursuits. Throughout her single years Angela delighted in my children. As our family grew, so did her time among us. She was a constant figure in their lives, and every time she came to the door, their faces lit up with glee. “Miss Angela, Miss Angela!” they would cry from upstairs as soon as they heard her voice. 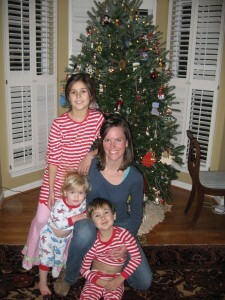 She vacationed with us, and it became a tradition for her to decorate the Christmas tree with us. 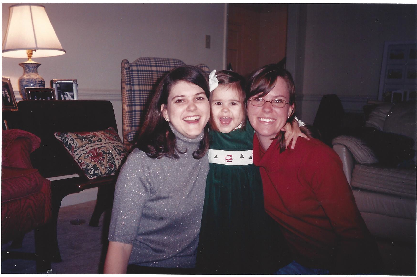 She richly blessed our family with her love and laughter. The fact that we were in different seasons of life didn’t detract from our friendship, it actually added to it. Angela enjoyed the blessing of feeling at home within a family (I think my children preferred her to me many days) and I got to enjoy conversations with Angela about her seminary studies and ministry (not often the topic of conversation on the playground). Angela didn’t shy away from me because I was in a different season. And, I didn’t separate myself from her because she wasn’t a mom. What was lacking in my season, she gave generously. What was lacking in her season, she shared from mine. 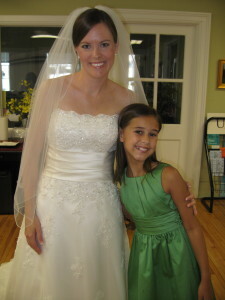 Soon after my youngest child had passed the toddler stage, Angela met and married a wonderful man. It was Emma’s first wedding and she loved getting to be a part of the celebration. The following year Angela and I were eating ice cream, and she told me it tasted funny. I remembered many things tasting off during each of my pregnancies, so I excitedly asked, “Are you pregnant?” She didn’t know for sure at that moment, but she went home that evening and took a test. It was positive! I was thrilled for my friend. Over the next few months, I prayed for Angela as she prepared for this new season of life. I wanted to do something special for her and I don’t have a crafty or cutesy bone in my body. 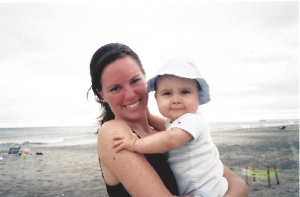 One morning I realized what I wanted to give her as a gift—the one thing I had longed for as a mother. I decided to write a Bible study for her that would keep her daily in the Word and encourage her in this new role. That morning as I sat before the Lord in prayer, the outline of this study came to mind. Over the next few months I wrote and wrote and wrote, trying to finish in time for her baby shower. As I worked on the study, I began to realize it was as much for me as it was for her. 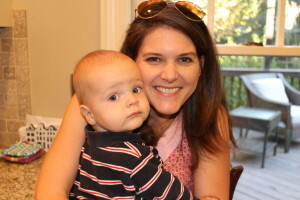 As a mother of older children, I need time with Jesus just as much now as I did when I was nursing a baby. Now Angela has two little boys with a third baby on the way. As she delighted in my children, now I get to love on hers.